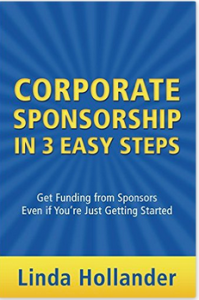 Do you want to know how to tap into corporate sponsorship dollars? Listen as sponsorship expert, Linda Hollander shares powerful ways to really boost your book marketing with sponsorship power. 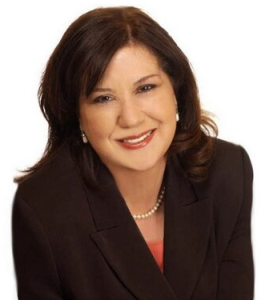 Linda Hollander is the author of the best selling book “Corporate Sponsorship in 3 Easy Steps,”and founder of the International Association of Business Sponsorships. Linda is referred to by Inc. Magazine as the industry leader in corporate sponsorship in business success. She has over 20 years of experience as a business owner and consultant, working to bring clients and sponsors together. These include Fortune100 companies, such as Microsoft, FedEx, Citibank, Mattel, Bank of America, Marriott, Health Net, American Airlines, IBM, and Walmart, and many more. Q: Linda, what exactly is sponsorship? And, how can authors use it to market and sell their books? A: First, let’s do the definition of sponsorship, because my definition of marketing with sponsorship is connecting a company to people who buy things.There’s an industry definition that’s a whole lot more complicated, but that, I like because that means if you know people who buy stuff, then you can get sponsors. The way you connect them, the sponsors with the people who buy things, is through your book, is through your book promotion, which Susan is a master of teaching you, and all the other touch points that you have with people. As an author, it is really, really important to not just concentrate on your books and the content of the books. We’re going to assume that you have absolutely stellar content in your books that’s going to help people, that’s going to entertain people, that’s going to touch people, that’s going to make people think, and they’re changed after reading your books. We’re going to assume that is the case. Now, what we want to concentrate on is the marketing and promotion of your book. Hopefully, as an author, you are always building your audience, you are always building your fan base because those are the people in your community that you can introduce sponsors to. That is what they pay you for. That is the definition of marketing with sponsorship.